This weekend just gone, our church staged it's Christmas Production in the Civic Theatre and my daughter Miss Fab was part of it. 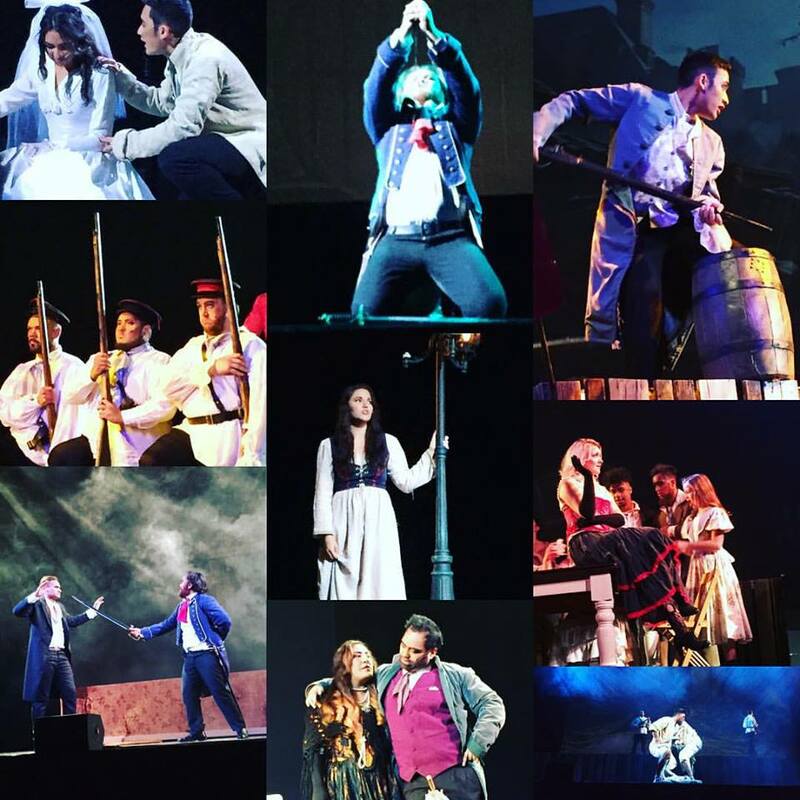 The production was "Les Miserables" - our own take on Victor Hugo's story of redemption, forgiveness and grace, set in 1800's France, with modern songs and amazing amateur talent. What an incredible weekend! Over 3300 people came to see the show over two incredible performances. The singing, the acting, the staging - everything. AMAZE. Hard to believe how far we've come from the days when we ad-libbed last minute skits, to now when months of hard work go into making a performance good enough to grace the Civic Theatre stage. I can remember the old days and see how far we've come because I've been around for donkey's years. I've been part of Equippers Auckland for 25 years - the longest I've ever belonged anywhere. There's something about having roots in a place and history with a group of people that just can't be beaten. When I was growing up my family moved around a lot, I went to ten different schools and never put down roots anywhere or had friendships that lasted longer than a couple of years. When I left home and came to live in Auckland in 1990, I met a wonderful bunch of people at a little church that, at the time, had less than a hundred people. This bunch took me into their heart; the leaders believed in me and encouraged the shy timid girl I was then to "have a go". I made friends - heart friends - and found a surrogate family when mine was 100's of km away. Twenty five years later I am still there. The church has moved location a number of times, and it has grown from a tiny little group of hopeful wannabe-world-changers into an organisation that reaches thousands all around the world. We are all quite a bit older now; we who were once "the youth group" are now mostly married with kids and there are a lot more people than there once was. Instead of a hundred, there's thousands. It's big, it's loud, it's cutting edge in things like music, creative arts, education and community impact, but at the heart of it are still many of the same beautiful faces, and generous hearts. Those heart friendships have endured the storms of life, and remain strong. Sometimes the bigness of it and the noise has made me question whether I still belonged, me with my aversion to crowds and loudness. Sometimes as the crowds got bigger and I struggled with my own issues I pulled back, my connections grew tenuous; a few times I came close to wanting to go and find a church that was smaller and quieter. But I just couldn't escape the fact that here is where I have roots. And here is where I have history. To a person like me who grew up rootless, that's a pretty big deal. There is no perfect church (they are all, ya know, made up of HUMANS) but here are people who are REAL and GENUINE. There are people here of all ages, all colours, all backgrounds; there is room here for me and mine. And what I love most is that the leaders are not about gaining their own fame or throwing their weight around - they are about making room for people and shining Jesus' love. I found acceptance and belonging here, and now my kids are coming through, and finding a place to shine their light through this special place, my church family. Afterwards Miss Fab was buzzing, but also emotional. With tears in her eyes she told me, "I don't want it to end! I'm going to miss the whole cast and crew so much! I love my on stage parents!" 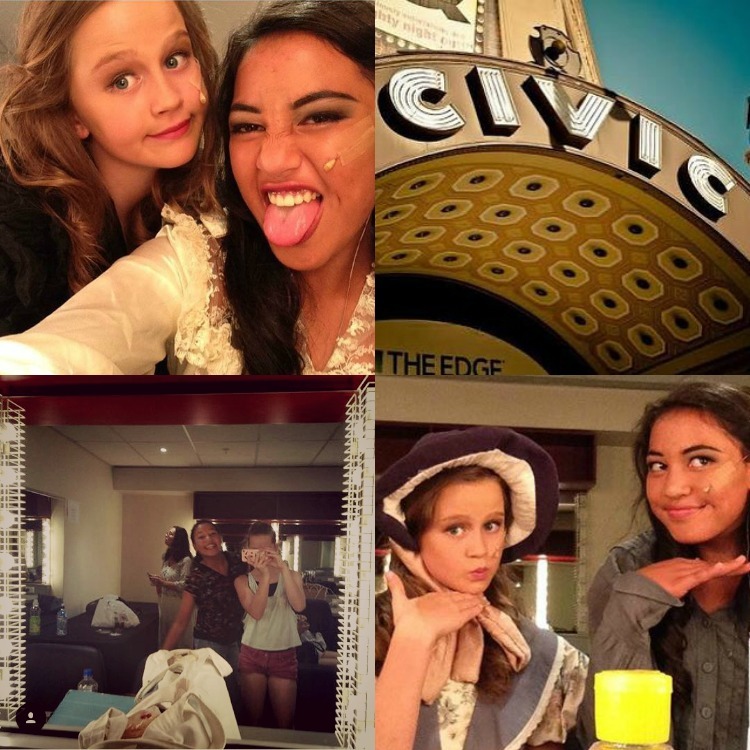 (She plays young Eponine, the daughter of the rogueish and hilarious Thenardiers). What she loved most was that feeling of belonging, of being part of something. She has been bitten by the theatre bug. Who gets to act on the Civic Theatre stage at the age of 11??? Not many! I remember when I took her to see "Annie" at the the Civic a couple of years ago and she said then, I want to do this. And now she is. She has found a place to use her God-given talents and be part of something amazing at such a young age. It was wonderful to see the way the cast took her in to their hearts. 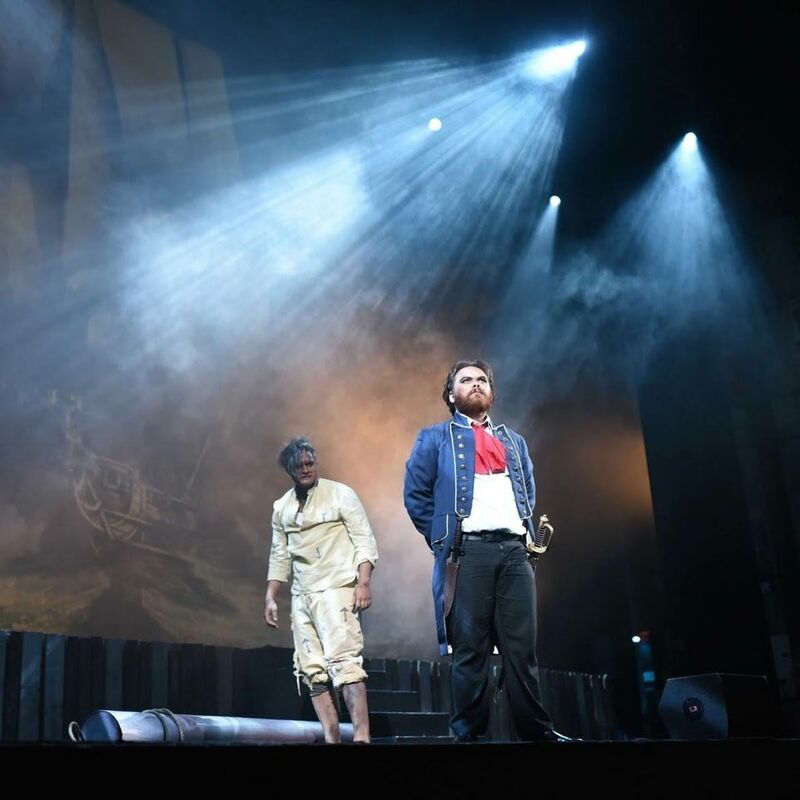 There were only three children in the cast (Young Cosette, Young Eponine and Gavroche) and the adult members of the cast and crew totally took them all under their wings. Every time my girl came home from practise she was buzzing. And like I said, she doesn't want ti to end. Just as well they decided to do one more performance, then aye? YUSS! This Sunday, 5pm at the Civic. So yeah. You can bet I'm glad that I hung in there and stayed even when the music got loud and the crowds got big. Twenty-five years ago we would never have dreamed the things that our little church would be pulling off. Things like this amazing production. Here is where I belong. And in sticking around and letting my roots go down deep, I have helped make a place where my children can grow and shine too. It's a wonderful thing, belonging.